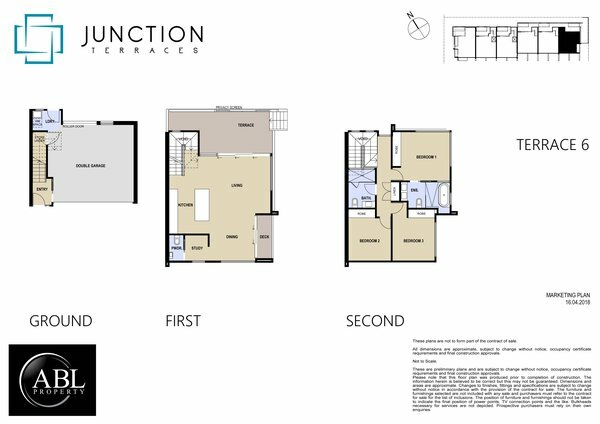 Step into a world of design excellence, luxurious living space and premium quality at Junction Terraces. Envisioned by Newcastle based ABL Property, the collection of just six luxury townhomes, is an exciting opportunity to indulge in a prestigious lifestyle in one of Newcastle's most prized locations. 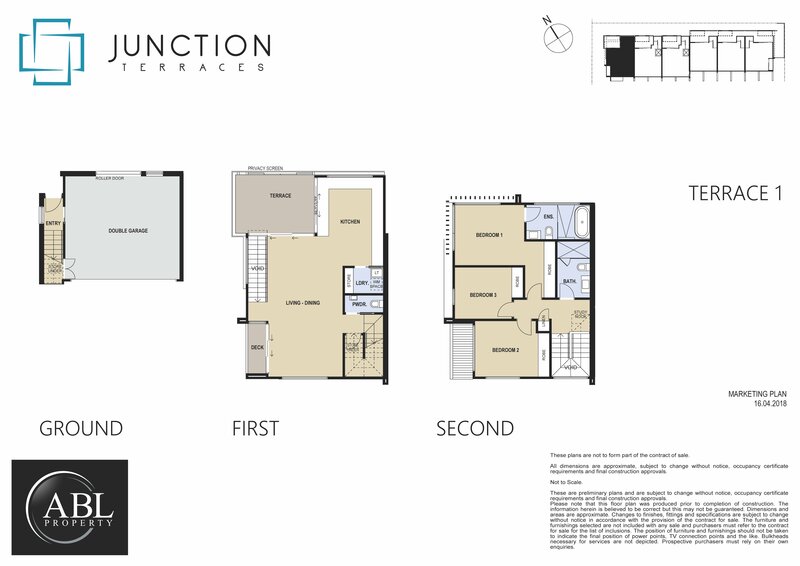 With a choice of generous three and four bedroom floorplans and the finest palette of materials and fittings, the townhomes are designed to create a modern luxurious sanctuary where quality comes first. 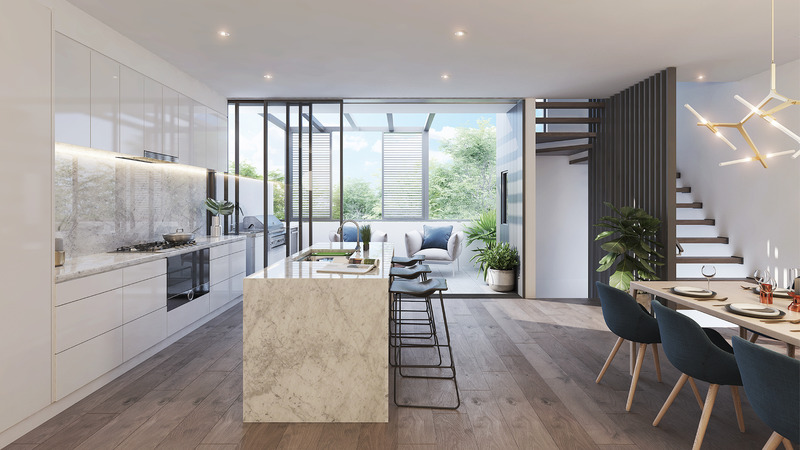 Island kitchens integrate seamlessly with the light-filled living and dining areas that flow outdoors to the large north facing terraces with alfresco kitchens. Bedrooms with built-in wardrobes offer sumptuous spaces in which to relax. 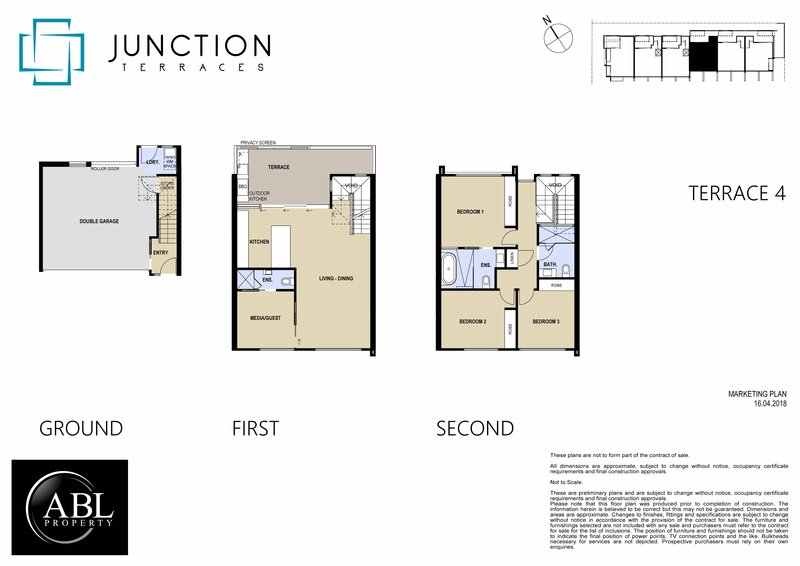 Bathrooms and ensuites simply add to the sense of luxury giving residents a truly enviable lifestyle. Each townhome has double lock-up garaging with automatic doors. 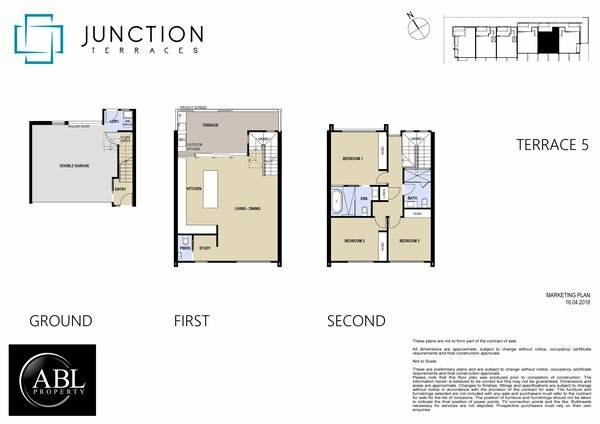 Just 1km from pristine Bar Beach and surrounded by some of the city's most sought-after schools, the location is hard to beat. An early morning swim or surf, an easy walk to The Junction for breakfast, lunch or dinner, or a spot of retail therapy are just some of the lifestyle benefits that come as part of the package. 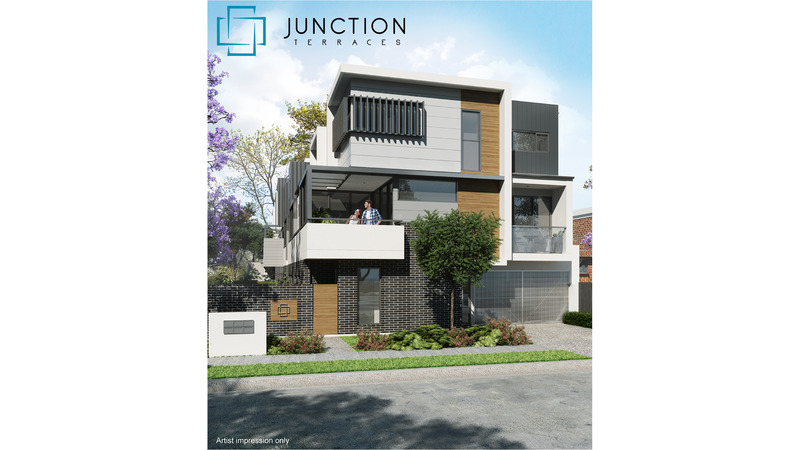 Junction Terraces is an ABL Property development. 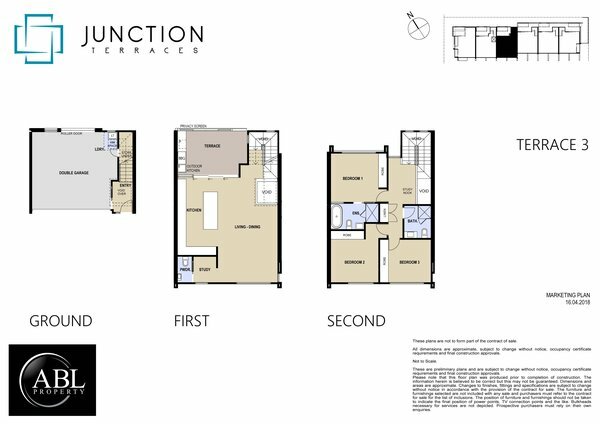 ABL Property is a leading property development company based in Newcastle, New South Wales with a proven history of providing high quality developments and industry leading levels of customer service. A prime location- a quick commute to the CBD, approximately 1km to Bar Beach and only minutes from The Junction cafes and restaurants. Or fill out our simple online enquiry form.